Every year that goes by, more people start their own online business to gain more control over their life and make more money. One of the best ways to start making money online is by using affiliate offers. Putting together a quality product comparison portal could generate a decent amount of revenue for your business. 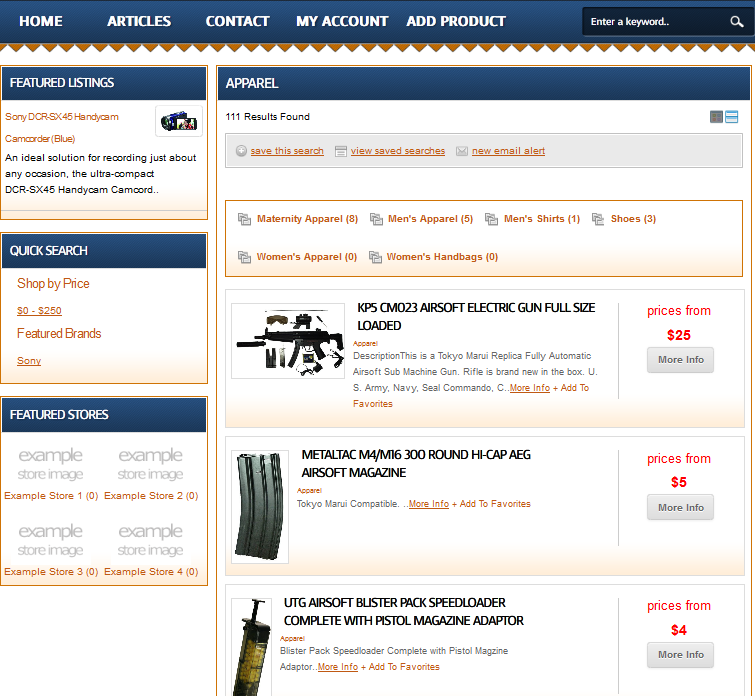 Price Comparison Theme is a cool looking template that lets you start a comparison portal with WordPress. ComparisonPress is optimized for affiliate marketing. Adding new products to it is fairly easy. It provides support for top social networks such as ClickBank, LinkShare, and ShareASale. You can import products by CSV or XML. Want to add data from Amazon or eBay to your site? No problem. The price comparison layout available in this theme is pretty decent. You can always customize it too. ComparisonPress offers link cloaking so you can protect your commissions. You also have the option to allow user submitted products. 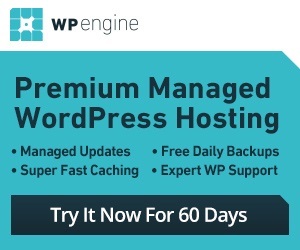 It gives you another way to monetize your website. 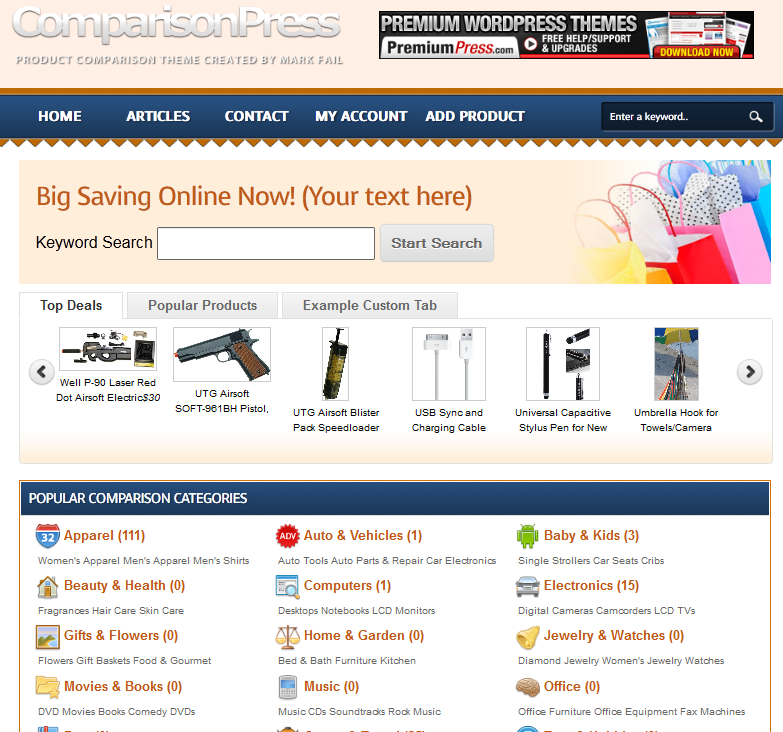 ComparisonPress is pretty decent looking and saves you time and effort putting together your comparison portal. It’s a nice theme for affiliate marketers.